By Reshma Seetharam. 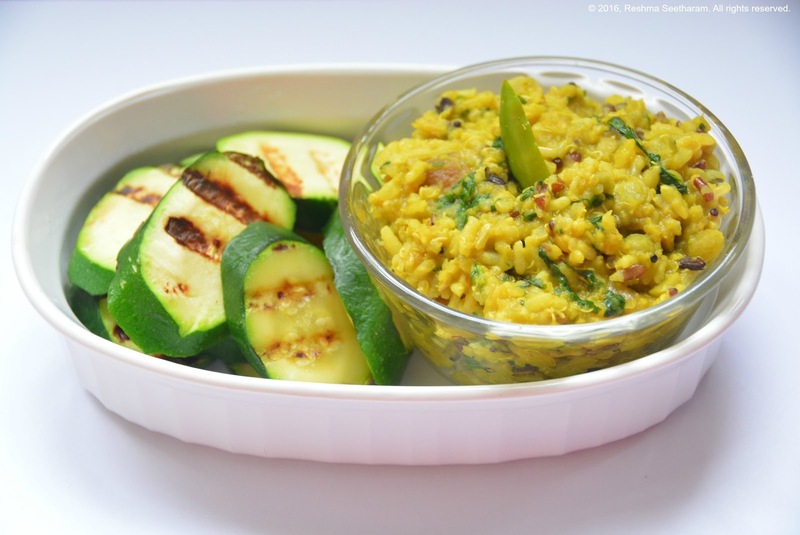 Here is wholesome khichdi made with multicolored organic quinoa, colorful organic lentils and organic brown rice! Add the lentils, quinoa and rice in a rice cooker pan. Wash, rinse and drain. Add 4 cups of water or broth. Cook for 12 to 15 minutes of until the mixure is cooked. Fluff it with a fork. Place a large quart pan or cooker pan on medium heat. 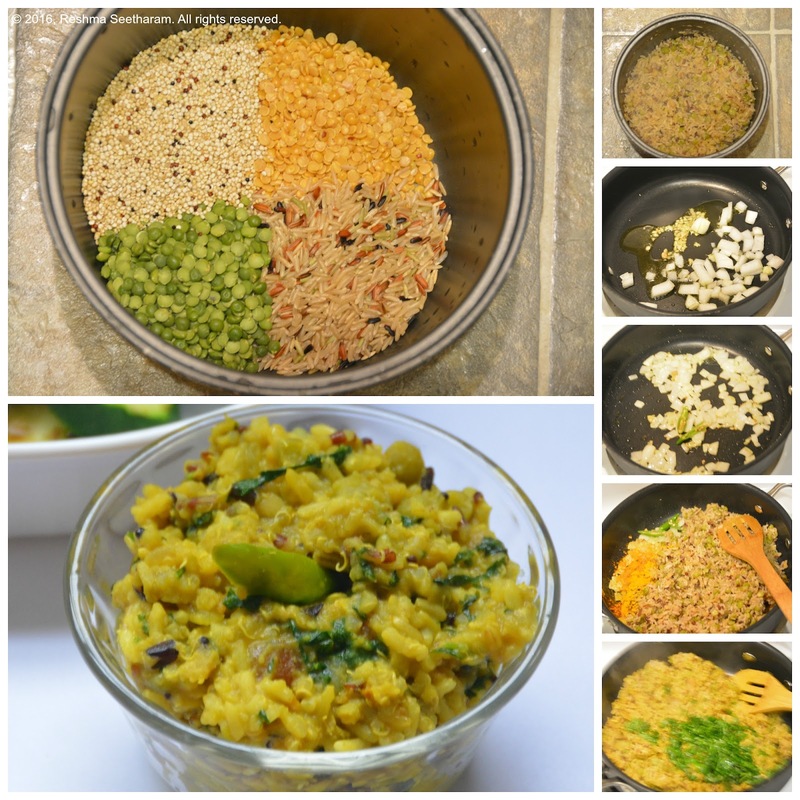 When the pan is hot, add ghee, mustard and cumin seeds, as they begin to splatter, add in the curry leaves, ginger and chilies. After a few seconds, add in the onions and saute for about 3 to 5 minutes. Sprinkle turmeric, asafoetida and salt. Stir them all together and cook for a minute. Add the cooked lentils mixture. Combine the mixture. Cook on low for 5 to 7 minutes. The consistency will be like mushy porridge. Serve hot with cucumber and yogurt salad, or grilled veggies. Enjoy!